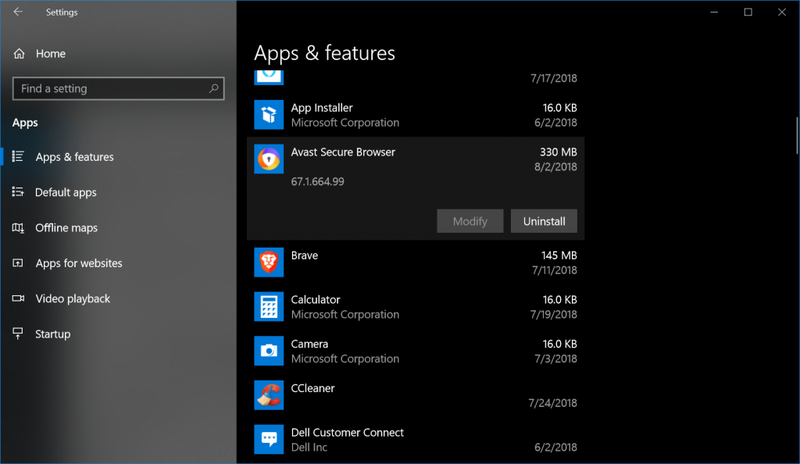 Unable to uninstall Avast Secure browser from Windows 10 PC? Fret not; the following blog post will guide steps on how to do that. 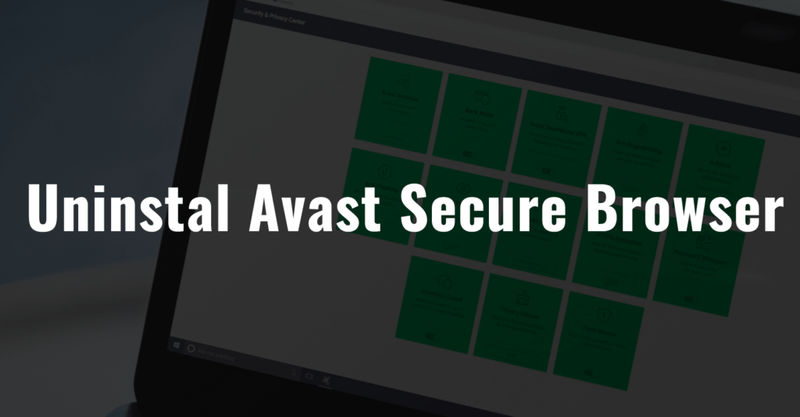 A few months ago, the Avast launched a new secure browser named as Avast Secure browser (successor to Avast SafeZone). It is built on Chromium that’s why it looks similar to the Chrome browser. According to Avast, it is one of the secure, fast and private web browser available for Windows operating system. The in-built privacy and security center in the antivirus offer users full control over the security and privacy as you surf the internet. As the browser is offering a variety of useful features, lots of users already start using it. Even many of them find this browser useful. While on the other hand, there are lots of users reporting on the internet that they are unable to uninstall Avast Secure browser from their systems. These are those people who installed this successor to Avast SafeZone browser to give it a try. In case, you made up so far reading the blog post; then the chances are high that you’re one out of them. To help you out I decided to write detailed instructions on how to uninstall Avast Secure browser. 3. On the right pane, look for Avast Secure browser and click on it. 4. Next click on the Uninstall button. When UAC dialog box comes up, click Yes to continue. 5. This will open the Avast Secure browser setup window; here you need to click on the Uninstall button. Note: Before clicking on the Uninstall button, make sure the box for “Also delete your browsing data” is checked. 6. Once the uninstallation process completed, click on the Close icon available at the top right corner of the window. Note: If you click on the OK SURE, this will take you to survey window. If you really want to give Avast team a feedback, then you can click on it. 1. Download the Avast Secure Browser removal tool using this link. 3. 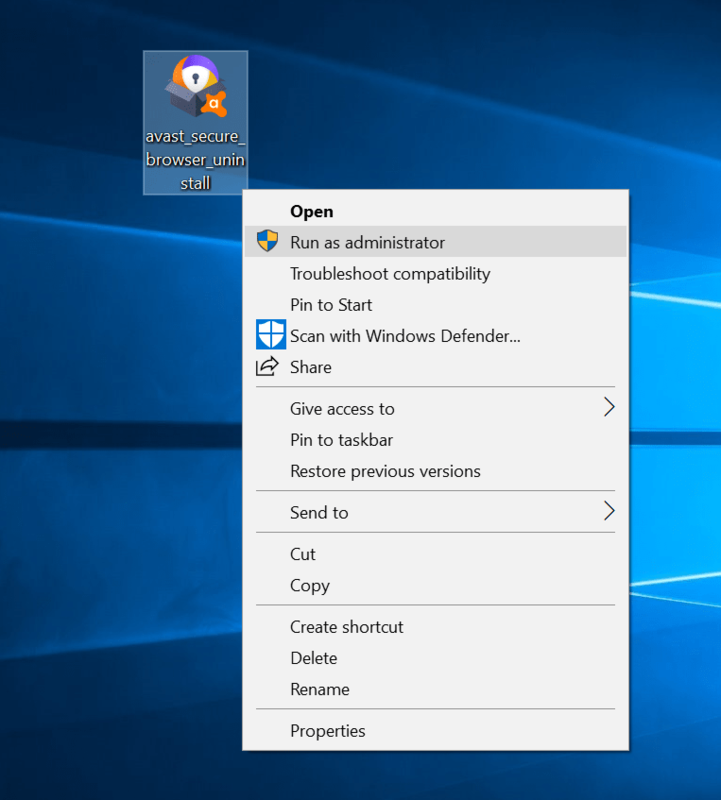 Right click on the .exe file you have downloaded and from the context menu select Run as administrator. If a dialog box comes up asking for the permission, then click Yes to continue. 4. This will again open the Antivirus setup window. Here check the box for “Also delete your browsing data” and then click on the Uninstall button. 5. Once you receive the message that Uninstall complete, then click on the Close icon. This will close the window. 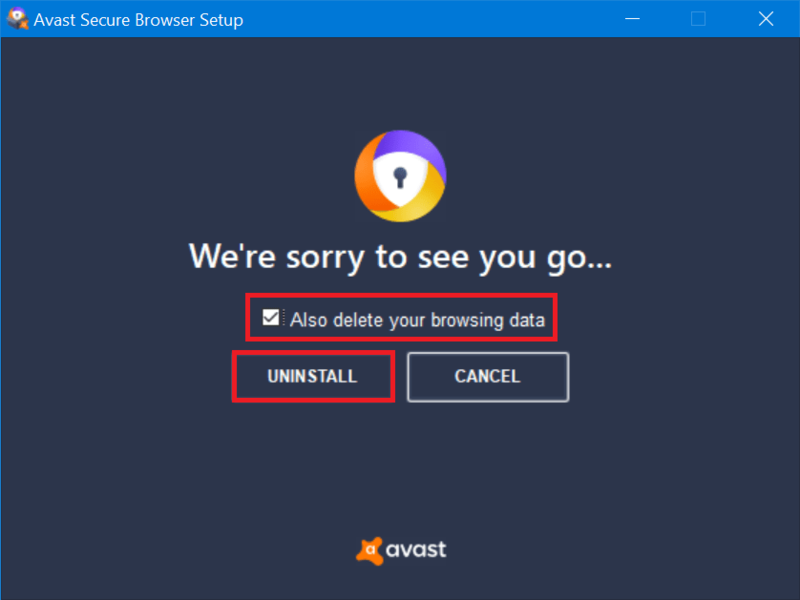 Find this tutorial on how to uninstall Avast Secure browser from Windows 10 useful? Let me know your thoughts in the comments.